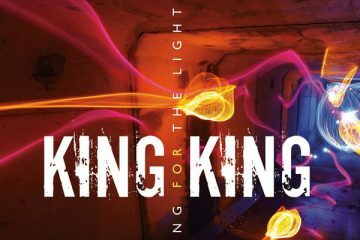 King King are getting ready to release the follow-up to their 2015 award winning album Reaching For The Light. 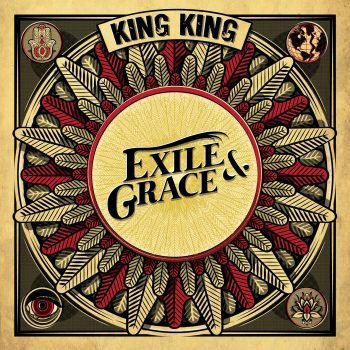 Following the release of King King Live in October 2016, Exile & Grace will be King King’s first studio album of new material since 2015. 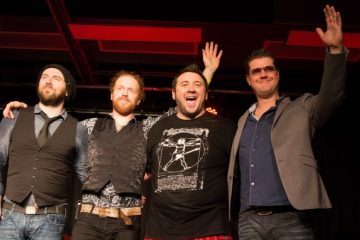 This record follows King King’s across-the-board win of five awards at 2016’s British Blues Awards including Best Male Vocal (Alan Nimmo), Best Bass Player (Lindsay Coulson), Best Song (Rush Hour), Best Album (Reaching for the Light) and Best Songwriter. 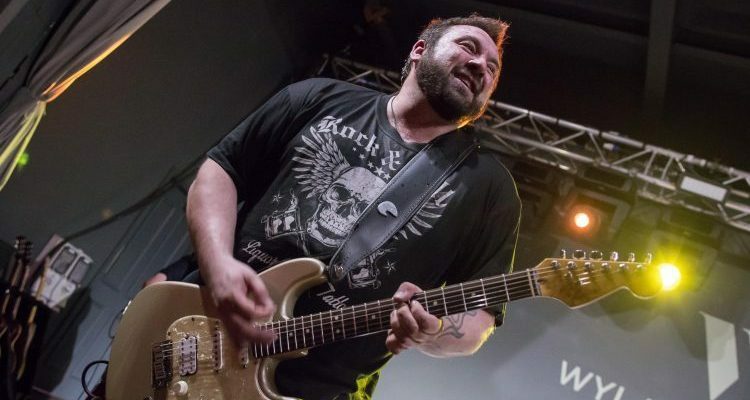 National Rock Review recently caught up with King King’s frontman Alan Nimmo to talk about their new record, their forthcoming UK tour and his road to recovery from his recent throat condition. NRR: You are about to release your new album Exile and Grace on the 6th October via Manhaton Records. How are you feeling about the forthcoming release of the album? Alan: Naturally we’re excited about the release of the new album! 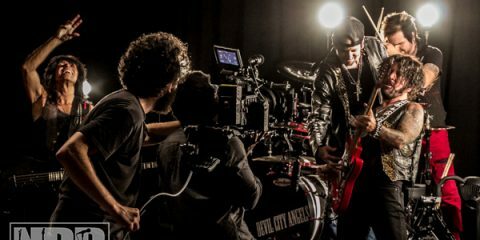 NRR: With your constant touring schedule for the last couple of years since the release of Reaching For The Light and also King King Live, it must have been challenging to fit in the time to both write and record a new studio album? Alan: It felt like it was a long time in the making even although we didn’t actually spend that much time in the studio recording. We had to fit days in around our touring schedule which was very hectic but we relish those kind of challenges and now that it’s all done we can’t wait for the fans to hear it! 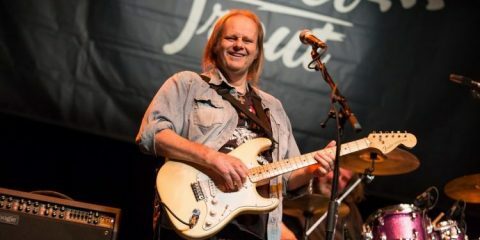 NRR: The lead single from Exile and Grace “(She Don’t) Gimme No Lovin’” has a distinctive classic rock sound with undertones of the likes of Thunder, Whitesnake and Bad Company. Obviously, Reaching For The Light saw the band move towards a more rock orientated sound. Do you feel that this is now the direction for the band as opposed to your blues based origins? Alan: I don’t feel that we’ve purposely shifted our style from one to another. It’s more like a natural progression once again from the last album! When I write songs these days I never restrict myself or think about the style. They just come out the way they do I guess that all of my early influences like Bad co, Free, Whitesnake etc. just seem to come out in the writing the more I become comfortable with it! NRR: I believe the track “Tear It Up” on the album is about your experience performing at Wembley Arena with Thunder. Now that you’ve achieved that goal, what else is left on your musical bucket list? Alan: Oh there’s a lot more for us to achieve.. I don’t feel we’ve even scratched the surface yet! It was amazing to play at Wembley Arena – an experience I’ll never forget but we were the support band! I wouldn’t mind playing there again and it’s King King on the poster! NRR: The album also features a bonus track which is a cover “Give Me All Your Love” by Whitesnake. Obviously, you’ve done covers previously of the likes of “Jealousy” and “Heavy Load” etc. but if you could choose any band to cover one of your songs, which band and song would you choose? Alan: Ha Ha… good question! 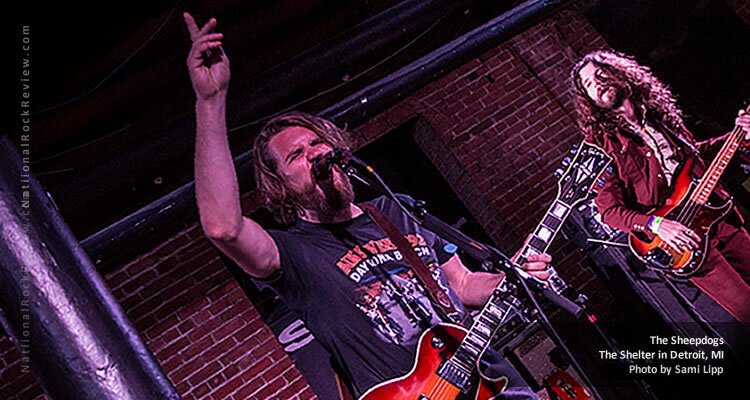 How cool would it be if someone like Paul Rodgers or Thunder covered one of our songs? Wow! I’d love to hear one of those guys singing something like “She Don’t Gimme No Lovin” or “Broken” then I’d get to hear how it should be done! Hee hee! NRR: The album title Exile and Grace is quite an interesting one, where does it come from? Alan: The inspiration behind the album title came from a number of things really but all rolled in to one! There is a huge concern that the future of our world and our species is very uncertain! There is so much conflict in the world and the way we treat the planet is a real worry for future generations. So it’s almost like “Exile” and “Grace” are like a yin and yang. We seem to exile the willingness and power to be graceful and live in harmony with one and other. 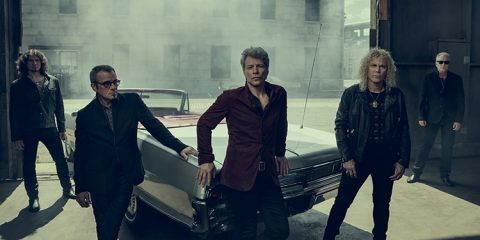 NRR: I know on your last UK tour, you teased the audience with a couple of new tracks, but not too much of the new material. Now with four albums behind you, it will obviously become more difficult to pick a set list. How much of the new record do you think will be performed during your forthcoming UK tour in January? Alan: It’s always difficult for us as a band to hold back and not play all of the new stuff! It’s only natural to want to play new songs but you always have to remember that you’re still in the business of entertaining and to play ten new songs to a live audience can be dangerous as they will spend the entire time pondering them and thinking about them – trying to take them in – if you make an audience do that for the majority of a show then they forget to have a good time so what we like to do is to place them in a couple at a time over a few months so that eventually without noticing, you’re playing a whole new set of songs and no one really noticed. 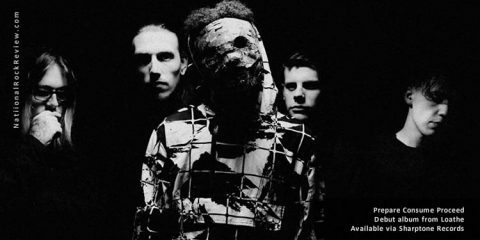 NRR: Your recent UK tour dates were rescheduled to January due to your recent vocal problem. I just wondered how is your recovery going so far? Alan: First of all I would just like to thank all of our fabulous fans for the staggering amount of support and love they have shown not only me but to everyone in the band! As you can imagine…this is a very difficult time for me and indeed the boys and I’m glad that we decided to take this time out to get a full recovery and I want everyone to know that I’m working my backside off to get in to good health vocally and in every other way! I’m regularly working with my vocal coach to re-build the strength and I’m working out in the gym everyday along with doing a fair bit of hill walking! NRR: I know you are a huge Free fan and I just wondered what is your favorite Paul Kossoff guitar solo or riff? Alan: Wonderful question. There is a live version of a song called “Woman” and I discovered this version many years ago when I used to troll around the record fares all over Scotland. Long before YouTube and everything else! I found an import CD titled Freeclimbing and this song was on there! When the solo kicks in it simply gives me shivers… even today it does the same! Thanks for the inspiration Koss! You were 26 when you left us and you’re still teaching me things! NRR: Obviously, King King are taking a short break from touring, but I just wondered what’s on the cards for the band in 2018? Alan: Well we already have a very busy looking 2018 so I know it’s going to be an exciting year ahead! Obviously we’ll be touring the Exile & Grace album in as many countries as we can. It’s not just the UK and I’ll also continue to write new material for the next album. I’m using the time off to get a head start on that so we’ll have plenty to choose from!